Best-selling author Ray Comfort has a love-hate relationship with atheists: They hate him, but he loves them. Atheists, notes Comfort, are disturbed when he simply and elegantly states exactly what they believe-that nothing created everything, which is a scientific impossibility-and in so doing exposes the common misconception that atheists are committed to logical thinking. 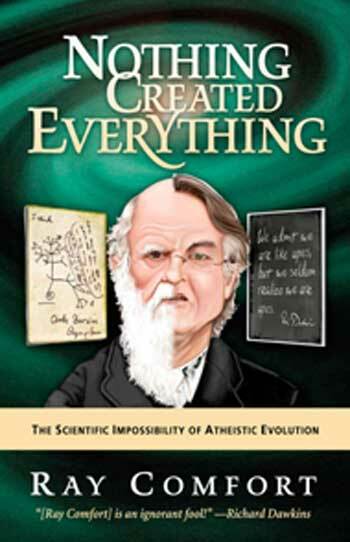 Now, as the 150th anniversary of Charles Darwin's "Origin of the Species" approaches, Comfort debunks this prominent view with his latest book: "Nothing Created Everything: The Scientific Impossibility of Atheistic Evolution". 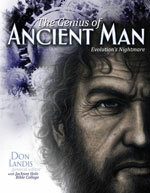 Comfort dedicates the book to popular contemporary atheist evolutionist Richard Dawkins, who introduced the oxymoronic concept "Nothing Created Everything": "To Richard Dawkins, in the sincere hope that he looks beyond the hypocrisy of organized religion, before he goes to meet his maker." "Nothing created Everything" is Comfort's informative, loving, and no-holds-barred response to Dawkins. "Anyone who tries to actually justify that nothing created everything has to be insane," writes Comfort. "This is a scientific impossibility." He continues, "There's no way to say it kindly, but such thoughts show that the atheist doesn't think, and proves the Bible right when it says that the fool has said in his heart that there is no God."